In the final moments before the Gourmet Eclipse, Toriko and the gang are finally reunited and partake in the parts of Acacia’s Full-Course Meal that have been captured so far. 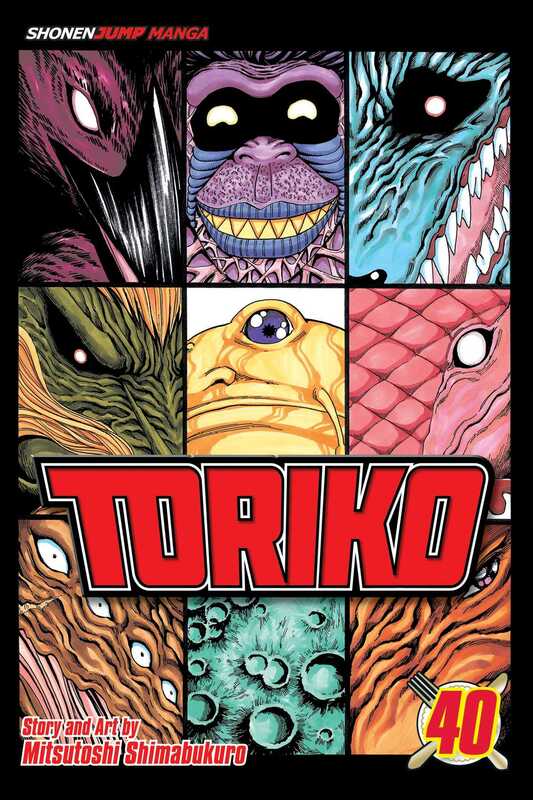 What sort of power will the Full-Course Meal impart to Toriko and his friends? Meanwhile, things are getting a little too slimy for Don Slime as he goes head-to-head against Neo, who gets more and more powerful with every bite! With the end of the world looming overhead and the coming of God imminent, will everyone be ready for the disasters to come? * A wacky, action-packed combo meal of Oishinbo, Pokémon, WWE wrestling, and Bizarre Foods. * Releases 4 times a year for 43 volumes. Series ends at volume 43.